The free Mini-Succulent Garden Workshop will be held at MPWD on May 22 from 6-8:30 pm. MPWD received the District Transparency Certificate of Excellence by the Special District Leadership Foundation (SDLF) . 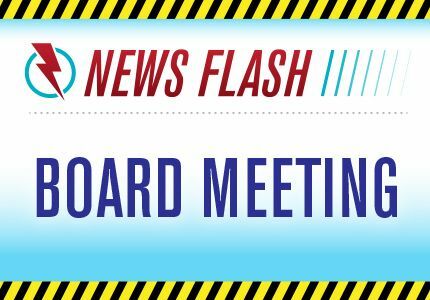 The Board Agenda for the MPWD Board Meeting on March 28 is now available to the public. MPWD Board of Directors approved revised Misc. 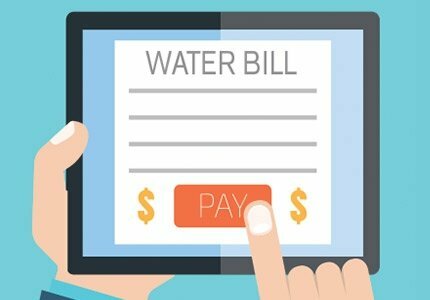 Fees in order to streamline customer service fees and charges. Register your account with our new, easier-to-use customer portal. Pay your bill today with convenience and confidence. MPWD Board awards Hillcrest PRS capital project to Stoloski and Gonzalez. The Mid-Peninsula Water District is dedicated to tailoring our communications to customer needs. Now, you can register for MPWD’s New Customer Connect program to receive flash news alerts via text or email, e-newsletters, and participate in surveys. Subscribe today and receive an opportunity for a free MPWD bonus gift! The MPWD Board of Directors regularly meet the 4th Thursday of each month at 6:30pm at 3 Dairy Lane in Belmont. The Mid-Peninsula Water District (MPWD), formerly Belmont County Water District, was formed in 1929 from the physical plant of seven independent systems, including the Spring Valley Water Company, which were united and began functioning as a public utility in 1930. The mission of MPWD is to deliver a safe, high-quality, reliable supply of water for current and future generations in a cost-effective, environmentally-sensitive, and efficient manner. To learn more about MPWD, click here. Our major water source originates from spring snowmelt flowing down the Tuolumne River to storage in Hetch Hetchy Reservoir. The pristine, well protected Sierra water source is exempt from filtration requirements by the United States Environmental Protection Agency (USEPA) and State Water Resources Control Board’s Division of Drinking Water (SWRCB). Water treatment provided by the SFRWS, including disinfection by ultraviolet light and chlorine, corrosion control by adjustment of the water pH value, fluoridation for dental health protection, and chloramination for maintaining disinfectant residual and minimizing disinfection byproduct formation, is in place to meet the drinking water regulatory requirements. The Hetch Hetchy water is supplemented with surface water from two local watersheds. Rainfall and runoff from the 35,000-acre Alameda Watershed in Alameda and Santa Clara counties are collected in the Calaveras and San Antonio reservoirs, and delivered to the Sunol Valley Water Treatment Plant (SVWTP). Rainfall and runoff from the 23,000-acre Peninsula Watershed in San Mateo County are stored in the Crystal Springs, San Andreas, and Pilarcitos reservoirs, and delivered to the Harry Tracy Water Treatment Plant. In coordination with the City of Belmont's permitting process, the Mid-Peninsula Water District (MPWD) reviews customer landscape plans regarding commercial and residential new development / construction, remodels, or additions on all lot sizes in excess of 1,000 sq. ft. in compliance with its Water Efficient Landscape Ordinance (WELO). As a certified Bay Area Green Business, the Mid-Peninsula Water District (MPWD) is dedicated to implementing sustainable practices to conserve energy and resources, minimize waste and our carbon footprint, and promoting conservation efforts in the community. For more information about the Bay Area Green Business Program, please visit. www.greenbiz.ca.gov. 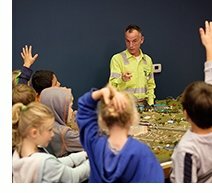 The Mid-Peninsula Water District (MPWD) is involved in outreach to local community schools to promote awareness of water and resources usage. Our centerpiece “Water Awareness Calendar” poster contest is conducted each year in collaboration with local elementary schools that involves 3rd to 5th graders. MPWD also hosts field trips from local schools and is expanding its School Education program to reach out further to the local school community in 2018. For more information about MPWD School Education Programs, please contact Administrative Specialist Jeanette Kalabolas at jeanettek@midpeninsulawater.org or 650-591-8941. Water Saving Tips, Rebate Programs, Landscaping, and more! Our free workshops are designed to help you optimize your landscape skills. MPWD is dedicated to reaching out to our community and developing relationships. MPWD has embarked on a 5-year CIP to upgrade existing water infrastructure so as to fulfill our mission to provide a safe, high-quality, reliable supply of water for current and future generations. Read More!